About a week ago, we celebrated our 2nd NOMADiversary! AKA - celebrating two years of being full-time RVers. We decided as we looked down memory lane, we wanted to share our favorite products & places and talk about a few of our problems & plans. Today is the first of the four P's - PRODUCTS. Whether you are a weekend, pleasure camper or live in your RV full-time, the gadgets, accessories and products that you purchase after acquiring your RV are very important. After two years of living full-time in our RV, we thought this was a good time to share with you a list of our ten favorite products we’ve purchased that make our life easier, safer and just plain old more enjoyable! These products are in no particular order since they all have become an integral part of our traveling lives. MORryde PRODUCTS: Okay, the first one on our list is more of a company. Granted, a company whose products we love and have added several (four to be exact!) to Charlie in almost two years. Independent Suspension (IS) System - We literally picked up Charlie from the dealer and immediately drove him to MORryde in Elkhart, IN to install this product. If you’ve been following us since the beginning you already know that we had also added the IS System to our initial fifth wheel, Calvan. Along with disc brakes, this is by far one of the best additions you can make to any trailer. The IS System allows up to 5 1/2” of suspension travel, instead of the 2” or 3" with standard leaf springs. StepAbove Steps - After seeing the prototype of the StepAbove Entry Steps at MORryde while getting our IS System installed, we were already sold on these steps. We just had to wait for them to be made available to the public. Well, our opportunity came at the 2016 Hershey RV Show when the StepAbove Steps were made available for sale. I installed the steps in less than 30 minutes and immediately began enjoying the benefits of having entry steps that are more stable when they are sitting on the ground. No more of that diving board feeling whenever you entered or exited Charlie. Sliding Storage Tray - Storage is always at a premium when you call an RV your home. One way to maximize storage in Charlie was to add a Sliding Storage Tray to our basement compartment. We had the tray added while getting our IS System at MORryde. The tray is 24” wide, runs the full width of our RV and slides out either side. We now have access to all of the storage space in our basement. No more “losing stuff” in Charlie’s storage bay. Rubber Pin Box - Ok, technically we didn’t add this product to Charlie because it was already on him when we purchased the RV. If it hadn’t already been installed at the time of purchase we would have definitely added one, just as we had added a Rubber Pin Box to Calvan. The Rubber Pin Box provides greatly reduced back-and-forth chucking and jerking, cushioned sensation over uneven road conditions and jerk-fee starts and stops. HIGHER HANGERS: You know you are officially a boring adult, when hangers are listed as a favorite product purchase! After all, we also have a vacuum cleaner on this list, so that pretty much nails down the boring adult classification. But seriously, these are a huge space saver in small space living. The cool part is these were invented out of necessity in a freshman dorm room. The classic style hangers waste space due to the long neck of the hanger. Higher Hangers breaks the mold of the way hangers have been designed since the 1860s. The higher shoulder bar pulls your hanging garments up allowing more floor space. Don't waste this precious closet space, the more room you save the more shopping sprees you can go on. Okay, this goes against the one piece of clothing in, one piece of clothing out mantra full-time RVers are supposed to live by, but who doesn't love a little shopping spree every once and awhile. We love how this allows us to see our shoes better and our laundry basket now fits under the hanging clothes. It didn't before the use of Higher Hangers. We have the velvet style which also is great in that it keeps clothing from moving during travel. We have yet to find any clothing to have slipped off the hanger when we have arrived at a new destination. This may be a little addition to our RV, but they say it is the little things in life that make us happy, right? To add to the happiness, use this link to get $10 off your Higher Hangers order. WATER PRESSURE REGULATOR: There are few things in life that are certain, but I can tell you for certain that you should never connect to a campground water source without first connecting some type of water pressure regulator. Excessive water pressure can quickly do damage to the interior plumbing of any RV. 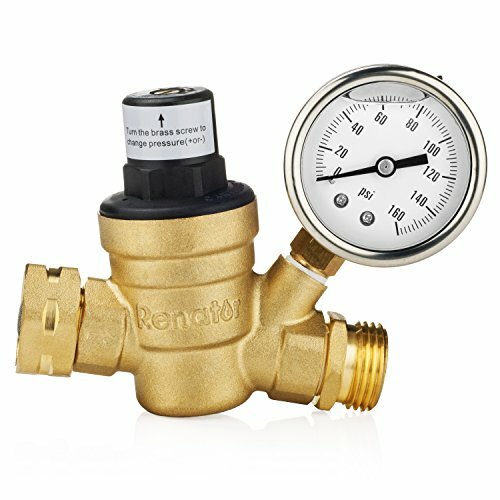 There are a variety of water regulators available, but we prefer this one due to its brass material, attached pressure gauge and the ability to turn the pressure down with just a screwdriver. Don’t leave home without it! NESPRESSO MACHINE: When we began this journey two years ago coffee was not a large part of our day. Our caffeine needs were satisfied initially by this mini Keurig machine, at least until March 2017. We had investigated the Nespresso line of machines but had not made the leap. Well, a visit to a Nespresso Cafe in Miami resulted in us walking out with a Citiz & Milk Chrome machine. We now enjoy daily some combination of espresso and frothed milk, sometimes hot, sometimes cold. Coffee will never be the same. SHOWER DISPENSER: Can you imagine pulling your shower down the road at 65 miles an hour? That is what we do frequently as full-time RVers. So keeping things secure (shampoo, conditioner, body wash, etc) in the shower is high on our priority list. We have owned 3 RVs and as a result have purchased this Better Living 4-Chamber Shower Dispenser three times. Could we have removed it and used the same one in each of the three RVs. Absolutely, but I feel it is something every RV should have installed, so we kept them installed to pass on the shower dispenser love to both our travel trailer's new owners and Calvan's (our first fifth wheel) new owners. This shower dispenser eliminates having bottles to remove from the shower each time we travel and essentially makes the shower clutter-free. Which our two OCD minds enjoy! My history with shower dispensers goes way back, as I remember asking for one for Christmas as a child. Thanks Santa, you helped ease my disdain of a cluttered shower even as a young lass. 30 years later and I'm still enjoying the small luxury. DYSON CORDLESS VACUUM: Keeping an RV clean seems like it would be easier because of its relative size to a normal home, but it still requires the right tools. With limited space for storage a standard vacuum is not a good option. We chose the Dyson V6 Absolute vacuum as our weapon of choice. It is lightweight, powerful, cordless and stores easily hanging on the wall in the bedroom closet. It easily transitions from cleaning carpet, floors, steps and any other surface inside Charlie. The newer versions (like the one linked above) have a longer battery life, but we’ve found we can clean the entire place in the 20 minutes the battery allows. WEATHER STATION: Yes it is possible to look out the window and see what the weather conditions are but sometimes you want a little more information. So we had been on the lookout for a weather station at a fair price. We were roaming around a Camping World in Cincinnati when we came across the La Crosse Technology Wireless Wind Speed / Weather Station at a good price. We’ve since added a suction mount to attach the outside portion to the side of the RV and have been enjoying it ever since. We did manage to break the outside mechanism that captures the wind speed and have not yet been able to replace it. We’ll keep trying, and in the meantime we’ll enjoy everything else it provides us. 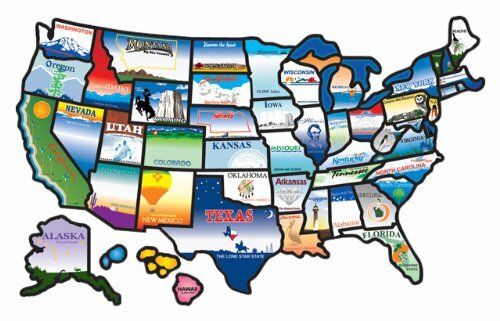 USA STICKER MAP: We know that we can always refer back to our blog if we need a reminder as to where we’ve been in our travels. But it sure is nice to look on the side of our dining room slide out, right next to our entry door, and quickly see what states we have visited and which ones we have to look forward to. It’s a simple map with a sticker for each state, but we smile every time we look at it. Here is a link to the USA Sticker Map we have, but since they have come out with some better designs here, here, and here. RVLock: We purchased our Keyless RV Lock from the RV dealer where we purchased Charlie. It was a leftover at the dealer and was discounted so we had them install it. We love the convenience of not needing a key to lock / unlock our door. I will say we had to replace the inside electronics after about a year, however, the replacement was sent to us free of charge by the company. We have been a bit disappointed with the plastic-type material that covers the numbers. It is starting to tear in a couple of places, which appears to be from being out in the weather elements. But that is where it was made to be, so I would expect a little more. With that said, we still love its convenience. GARMIN GPS: When we are in motion, the combination of the Big Tow’er and Charlie is a hair over 65 feet long, 13’ 4” high and about 40,000 pounds. Moving something this size requires some advanced planning and a reliable GPS. 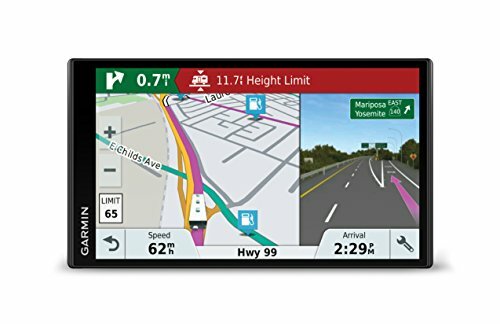 We chose the Garmin RV 760LMT Portable GPS, we know would recommend the upgraded version of our the Garmin RV 770LMT Portable GPS. The 7 inch screen is the perfect size on the dash of the Big Tow’er and its instructions are clear and well illustrated. It has not gotten me into a tight spot yet, let’s hope that continues. So there you have it, our favorite product purchases during our two years of full-time RVing! I'm sure over time, we will have additional products we add to our arsenal to either make life easier, simpler, or funnier (oh wait, that's not a word, but it makes a good point, right?). The above list are things we have purchased, but we can't fail to mention one of our favorite products that was already installed in our home on wheels, our MCD shades. MCD Shades: Our MCD Window Shades may be one of our favorite products in our Charlie. We did not add the MCD Shades to Charlie as they were already installed from the factory. Ours have both the day shades and night / blackout shades. We always keep our day shades down and lower and raise the blackout shades for privacy at night. The shades definitely help keep the RV cool by keeping the sun out in the summer and always keep the sun glare down while still being able to see out of them. Ours are all manual, but MCD does offer a power version if you are so inclined. Just like in sports and high school class ranks, not everyone can make the Top 10! But we don't want to overlook these products, which we frequently use and enjoy in our RV life. DISH TV / Winegard Antenna - While it occasionally gives us fits when first setting up, we have had good luck with both our DISH service and Winegard Pathway X2. It is now super easy to update your address when you move from location to location to get local network channels by using the MyDISH App. We also like that it is a Pay-As-You-Go service. Meaning if we are at a campground without clear satellite signal or that has really good cable service for an extended amount of time, we don't have to continue to pay for the monthly service we can't use. There is no commitment as well as no disconnection or restart fees when you turn on/off the service during traveling. Now you may have to hassle with the customer service agent, but they will stick with what is listed on their website. You just may want to remember this and be prepared to present this to the customer service rep on the phone. If you are prone to high blood pressure, take your pills and a deep breath. So we may have had to be firm, but we really have had good luck with DISH thus far. Here are some links to the equipment we use: Antenna & Dish Wally Receiver and Tripod for Antenna. LASKO ELECTRIC HEATER: If you would have asked us when we started out 2 years ago about a heater making a list of best product purchases we would have laughed at you. We embarked on this adventure of full-time RVing to escape the cold. So why in the world would we need an electric heater? Well sometimes things don't work out like you dream they will. Since our travels are often dictated by Workamping jobs, we can't just pick up and move when the mercury starts dropping on the thermometer. This trusty heater has helped keep Charlie toasty warm while working in Kentucky, Maine and believe it or not we had to bust it out this winter in Texas. It seems to run efficiently on electric and saves us from burning through propane like candy. Our version has been replaced with a newer version, linked here. We also got this mini little guy, also by Lasko to stick in our outside storage compartment on really cold nights or as a personal bedroom heater during nap time! NEXT EXIT BOOK: This has become one of our key travel companions. 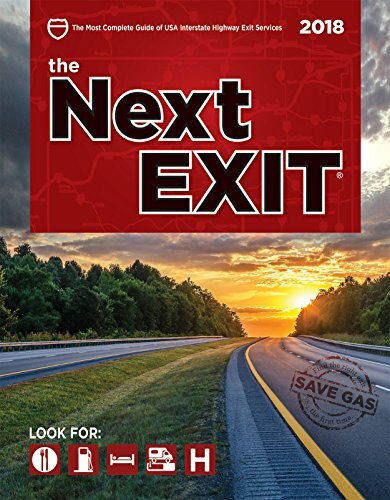 The Next Exit book includes the exit-by-exit listing of everything you may need on a road trip: food, fuel, lodging, camping, and shopping. You can know what is ahead before you actually get there and not fly by the sign for your favorite burger joint. Or say Starbucks, because who couldn’t use an Vanilla Sweet Cream Cold Brew while traveling long distances? No more passing the exit, missing the gas station, or settling for a less than desirable hotel. If you ever road trip - this book is a MUST! I do wish it was available in an app version, but the book even with turned up edges and maybe a few coffee stains has worked fine thus far. If you have a product that you think we MUST try, drop us a comment below or send us an email. We are always on the look out for products that would make life easier, cheaper, safer, or more enjoyable! Feb 17 A few projects around the "House"